These are two of the original artworks that Miguel Ángel Martín drew for ilustrate "Calendario Apocalittico 2012" (Edizioni NPE). Illustration 1: "Little boy" 7,1x7,5 in. 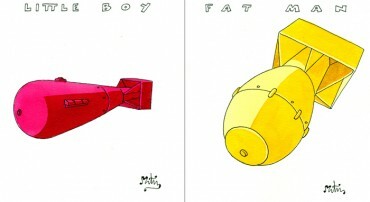 Illustration 2: "Fat man" 7,1x7,5 in.